With the rapid rise of new technology in the workforce, businesses across industries are struggling to properly accommodate their employee’s growing needs. Employees today expect flexibility, freedom, and access to effective technology. Businesses that ignore these needs or fail to adapt are doomed to have a difficult time recruiting and retaining high-quality employees. But how do you know if you’ve done enough? 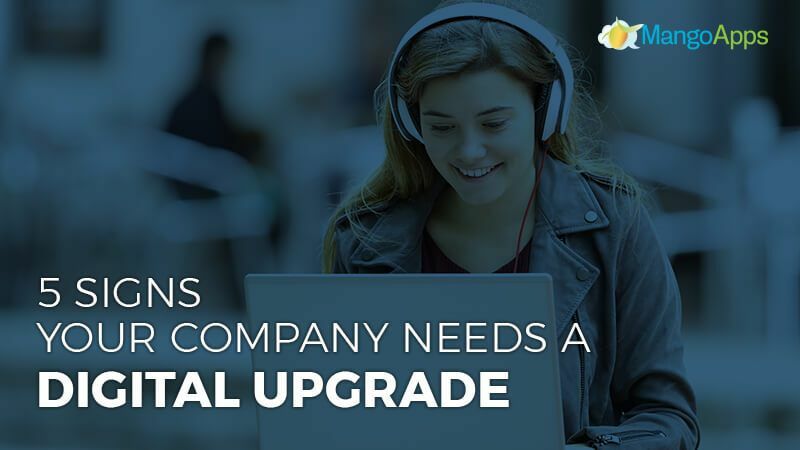 Here are five of the most important warning signs that your organization is in need of a digital upgrade. Quality employees seek out businesses that provide the resources they need. In fact, recent surveys have shown that close to 59% of millennials find it difficult to work in an environment that runs on legacy solutions and outdated or difficult to use technology is a primary reason for increased resignation. If you’ve been experiencing greater employee turnover recently, especially among hard working and well-qualified employees, it might be time to take a look at your tech. Be sure to conduct exit interviews with your resigning employees. Take time to ask them about their experiences and if they suggest a digital upgrade. As a successful employer, it is important to take their feedback and opinions seriously. If your existing and previous employees suggest upgrading or improving your resources, consider how innovative business technology solutions like MangoApps can help reshape employee collaboration and make work easier for everyone. If your intranet updates receive little enthusiasm, or even worse, don’t happen at all, it’s a serious sign of fading engagement. The workforce today is accustomed to interacting with multiple social media and networking platforms. A successful company intranet should be able to offer a similar level of engagement across your business. A stale, outdated, or unsupportive intranet is a sure sign of stifled communication, frustrating work experiences, and unenthusiastic employees looking for alternative options. Modern workplace software like MangoApps have sleek and intuitive enterprise intranets designed to continuously support employees and allow your workforce to seamlessly engage with organizational content and communicate on intuitive social platforms. Freelance work is quickly transitioning from a recent trend to a widely accepted way of work. In fact, researchers are now predicting that by 2020 more than half of the US workforce will be made up of freelancers. Freelance work offers employees greater flexibility, better work locations, and improved convenience. Consequently, this rise in work mobility, device flexibility and remote abilities have put businesses resistant to change in a tough spot for talent. If your organization is hesitant to adapt, it could be an important warning sign of future retention and recruitment problems. Thankfully, remote work isn’t just easy for employees. 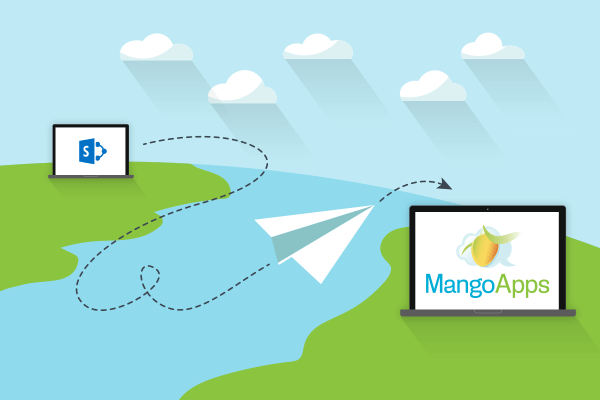 The seamless collaboration capabilities provided by technology solutions like MangoApps, make it simple, convenient and even profitable to manage a remote workforce of any size. Email has become an ineffective tool for business communication. Recent surveys show that over 50% of employees feel out of the loop at work, regardless of regular company emails. Perhaps even more concerning though, is the fact that over 30% of employees ignore employer emails completely. Communication throughout an organization is always important, but relying on email just doesn’t work anymore. Employers need a digital upgrade. Social intranets make following and interacting with co-workers easy and naturally encourage conversation and collaboration. Social intranets also provide important company news, announcements, custom notifications, and off-course, personal messages, all from one centralized location. Organizations of every size use feedback systems to monitor and understand employee performance. However, not all systems are equal. Outdated and ineffective feedback systems rarely offer accurate or helpful inputs and insights. While this system is certainly better than no feedback at all, it is often incorrect and missing critical information. Modern digital software tools automatically track employee data achievements and progress and naturally facilitate recognition and reward. This gives employers a deeper and more analytical understanding of employee performance, creating a complete and understandable picture of employee success. These programs are also designed to empower employees by providing them with a place to outline, plan and communicate their career progression within the company. The workforce of tomorrow demands a culture of digital maturity. Employers have to invest in the right digital tools to help employees perform better and increase engagement. Don’t let your business fall behind. If your organization is ready for a digital upgrade, schedule an appointment or a personalized demo with us today.